What are the Benefits of Tailor-made Business software? But first of all, what is a custom-made business software? The tailor-made business software is a software specially designed to meet the problems that arise in a given organization (company, association) . These organizations then draw up a set of specifications covering all the issues and needs of society. In general, companies have their custom software developed by an agency when software packages (commercially purchased software) no longer meet specific needs. É economic: Time savings and productivity over the long term. Expenses are reduced because you have no license to renew for all of your users. Reduce costs: Business software allows you to optimize and automate processes to increase productivity and reduce costs. Recurring tasks can be simplified with custom software. This will enable you to focus on your core business. Data entry, for example, is a repetitive task in industry. Human errors are quite common and can slow the productivity of the company. The custom-made software can help you reduce the number of mistakes considerably because the input process has been simplified or even automated. Increase revenues: The development of business software can, for example, help you manage your website and your physical shops as the software we have done for the company All nutrition. Thanks to this one, you can achieve various data from your company and thus optimize your management to increase your incomes (control of the stocks, the supply, the production, etc.). Adapted to the needs of your business: Unlike mass software (Microsoft Office, etc. ), the tailor-made software includes the features you need. Also, your constraints and the specificities of your business are integrated. To summarize, a business software adapts to your business, unlike software packages. Taking over your existing software and adapting it: Some companies already have software, but want for different reasons to change external provider. You can then call a web agency for example. However, the latter will have to audit the software to understand the feasibility of the project. Development of tailor-made business software: The development of custom-made software allows a company to differentiate itself from its competitors. Also, some companies find it challenging to find market-based software tailored to their industry. The features in these “generic” software do not necessarily correspond to the needs of the company, which is why they are turning more and more towards the realization of their business software. To define your needs, we advise you to draw up specifications specifying all the problems of the company and the objectives to which the development of your business software must respond. Of course, the web agencies can accompany you in the drafting of your specifications, for that, meetings of reflection will be organized so that you define your problems. Following this, the agency can take care of drafting your specifications according to your needs and technical specificities.The advantage of tailor-made software is that it is scalable, even if your long-term needs are not entirely defined. You will be able to evolve your tool, adding new features, which you will not necessarily have thought of from the beginning. Erase an important document because of a small handling error; this can happen to everyone. Between the Recycle Bin that we empty without thinking, formatting launched distractedly, and clicks too fast on confirmation buttons, there are many opportunities for files to fall by the wayside without really wanting. The good news is that file deletion is rarely final, regardless of the media type (magnetic or electronic) and the type of document (Word file or other, workbook, presentation, PDF, photo). If one intervenes quickly, and indeed also if one delays a little to react, one is likely to be able to recover the erased data. Recoverit is a very well known tool for recovering lost files. If you want to recover photos from the SD card, Recoverit can undoubtedly help you. But for pictures and other files saved in the internal memory, Recoverit can not help you. Recoverit is a versatile recovery software. It can find photos, videos, Office documents, Outlook emails and other files from various storage devices, such as SD card, USB stick, hard drive, camera, and Android mobile. But to recover the photos from the internal memory of the Android mobile, it is necessary to create an ISO image before data recovery. Recoverit android Recovery is a software designed to scan all the cells of your Android and find existing and deleted files from the internal memory of your mobile. 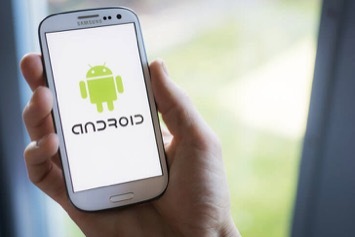 Although your data are lost due to accidental deletion or formatting of the Android phone, you can use Recoverit Android Recovery to find them. Following the analysis of your mobile, this tool allows you to preview files before recovery. This can save your recovery time and work. The value for the development of business software is very variable it will depend on your needs and is specific to each project. Once your needs are clearly expressed and your specifications completed, you can have an accurate estimate of the cost and time of realization of your custom-made software.Indeed, the cost of making a custom-made software will be more critical at startup than if you opt for software already on the market. However, be aware that in the long run, developing your business software will make you more efficient and productive. Also, you will have no license to pay, unlike a mass software. Also, it is important to know that these two elements can be impacted according to your needs and the specificities of your software. For example, these different factors influence the cost and the time of realization: the functionalities offered by your software, the level of maintenance required, its adaptability (compatible with smartphones, tablets), etc.